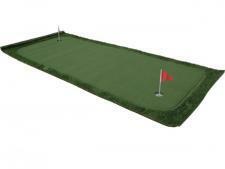 This is the first modular putting green system that lets you experience the realism of a professionally installed backyard golf green indoors or outdoors without all the mess and hassle associated with outdated construction methods. 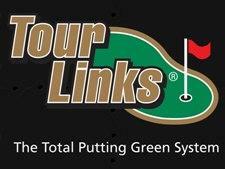 Whether you are a professional green installation expert, tradeshow and event designer or a do it yourself weekend warrior, this is the right putting green solution for you. The patented, all-weather modular design makes installation easy in any climate or environment. 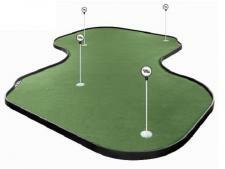 Leave your green outside or bring it indoors for continued yearlong practice when the weather turns bad.